Possum problems are not uncommon for people living in Westchester County, Katonah, Bedford, Bedford Hills, Mt Kisco, Chappaqua, Armonk and Pleasantville, NY. Most of them have to contact a possum pest control service to get rid of the infestation. This guide can help you prevent a possum infestation by providing you detailed information on how they enter your home, what damage they cause, what diseases they carry and how to get rid of them. How Opossums Enter Your Home? Opossums are good climbers, climbing and entering your home through the soffit on your roof. They can also enter your house through other structures of the home, sheds and garage. A possum under your home, in home, or in your attic may require you to contact a possum exterminator before the infestation increases. What Damages do Opossums Cause? Opossums are nocturnal animals that prefer to live under the home and can cause damages under your home by defecating or dyeing. Possums can tear and rip the shingles and soffits to enter your attic through the roof. Others things they damage include the siding, gutter system, eaves and even the electrical system in the event they die and/or get tangled up there. 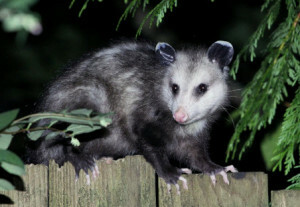 Before these pests cause more damage, contact Pinnacle Wildlife Control for possum removal. These animals also pose a threat to humans. They can transmit diseases to both people and pets. They carry a host of diseases such as spotted fever, coccidiosis, tuberculosis, leptospirosis and tularemia. They can also bring in fleas, lice, mites and ticks. Contact Pinnacle Wildlife Control, a professional possum exterminator for possum control and removal. If you are facing a possum problem and you live in Westchester County, Katonah, Bedford, Bedford Hills, Mt Kisco, Chappaqua, Armonk and Pleasantville, NY, get in touch with Pinnacle Wildlife Control today.